A cynic might suggest that had Hillary Clinton actually won the 2016 Electoral College vote but lost the popular vote to Trump, progressives would now be praising our long-established system of voting. Progressive candidates and new Democratic representatives have offered lots of radical new proposals lately about voting and voters. They include scrapping the 215-year-old Electoral College. Progressives also talk of extending the vote to 16- or 17-year-olds and ex-felons. They wish to further relax requirements for voter identification, same-day registration and voting, and undocumented immigrants voting in local elections. From 2017 on, Trump has sought to systematically dismantle the progressive agenda that had been established by his predecessor, Barack Obama — often in controversial and unapologetic style. 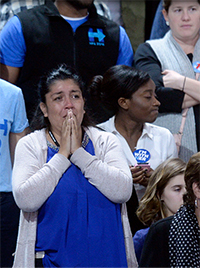 The furor over the 2016 Clinton loss and the new Trump agenda, the fear that Trump could be re-elected and anger about the Electoral College have mobilized progressives to demand changes to the hallowed traditions of electing presidents. Voting requirements have also reflected disdain for radical democracy. Lawmakers have argued that young adults who are at least 18 years old have more experience, are more independent and take on more responsibilities than do younger teenagers living at home. Therefore, they are likely to make more reasoned decisions. Some progressives want to lower the voting age. Similarly, most states consider the judgment of felons who have committed serious crimes suspect compared with those who have followed the laws. These states have prohibited felons from voting by first requiring completion of their sentences or parole or probation, depending on the nature of their crimes. Many on the left support measures that would ease voting restrictions on ex-felons. Most Americans are skeptical of reparations. They do not favor legalizing infanticide. They do not want open borders, sanctuary cities or blanket amnesties. They are troubled by the idea of wealth taxes and top marginal tax rates of 70 percent or higher. Many Americans certainly fear the Green New Deal. Many do not favor abolishing all student debt, U.S. Immigration and Customs Enforcement or the Electoral College. Nor do many Americans believe in costly ideas such as Medicare for All and free college tuition. The masses do not unanimously want to stop pipeline construction or scale back America's booming natural gas and oil production. Had current undocumented immigrants proved as conservative as past waves of legal immigrants from Hungary and Cuba, progressives would now likely wish to close the southern border and perhaps even build a wall.